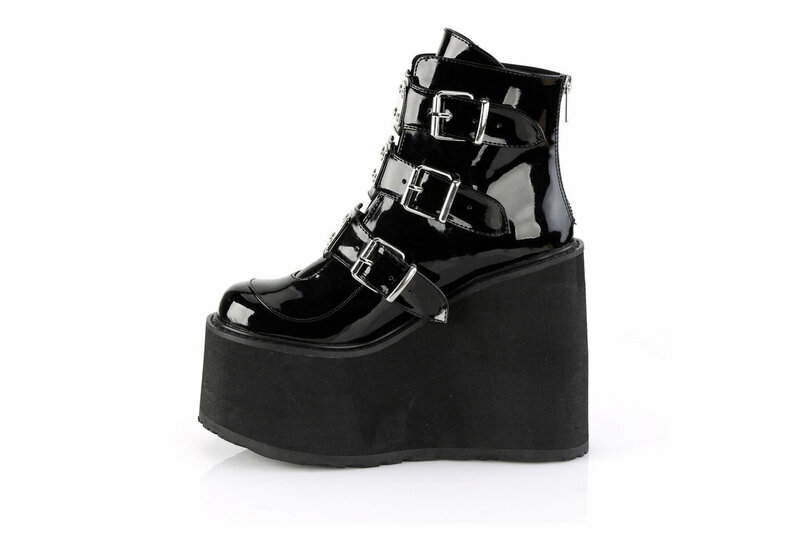 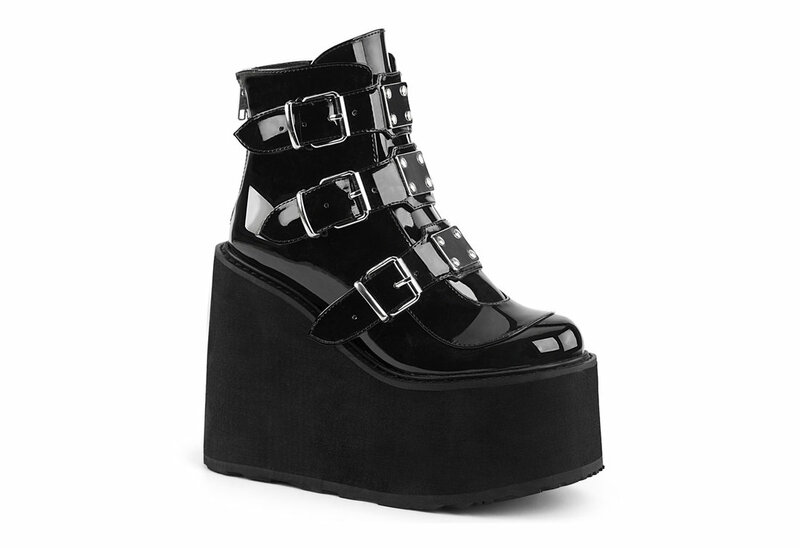 Make a statement with the Swing-105 patent leather 5 1/2 inch platform boots. 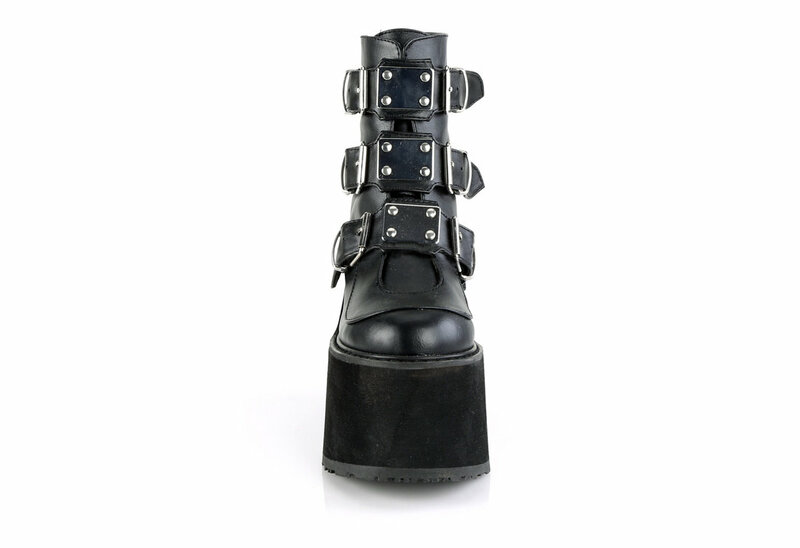 These stunning boots have triple buckle straps with silver chrom metal plates. 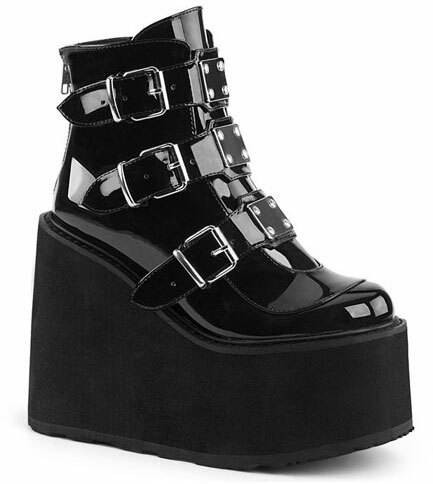 Comes with a back zipper for easy on and off.